Concrete driveways, sidewalks, patios, and other concrete surfaces look shiny and new when they were first poured but after a few years in the elements they can lose that appearance. When you go up your driveway does it look like you’re travelling down an old abandoned road with all of the moss and algae that has built up over the years? The most commonly used part of your property, and often the most neglected part of your home, is your driveway. If left unchecked you could stain your driveway permanently or cause irreparable damage to the concrete. 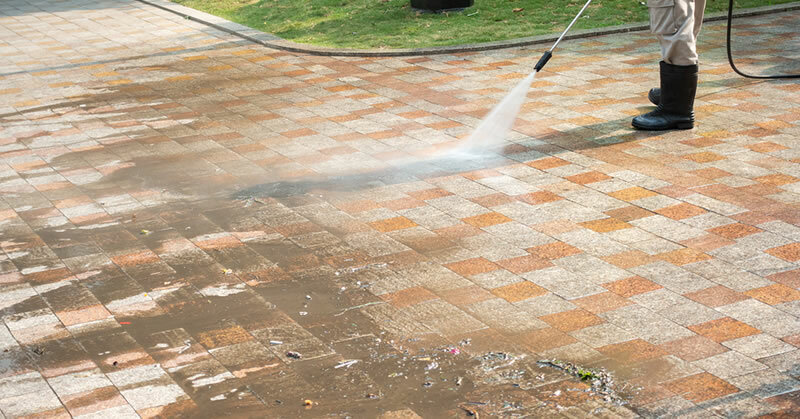 A good power washing service will be able to wash away years of dirt and grime from your driveway or other concrete surfaces leaving you with that freshly poured concrete or freshly laid brick look. At Signature Painting Company we specialize in cleaning your driveway and other concrete surfaces of unwanted debris. Moss, algae, dirt, leaves, mold, mildew, and more. All of it will be washed away in minutes. Let us come out to your home or business and clean up your driveway or concrete surfaces. Cleaning driveways might seem fairly straight forward but if not undertaken with great care and attention it can be very damaging to your property. Take gardens bordering the edges of your driveway for example. A few blasts from the power washer from an inexperienced hand and you’ll have your precious flowers spread all over your lawn. An experienced power washing technician will formulate a plan of attack based on the layout of your property and available drainage. We want to minimize the standing water left behind and maximize the run off so your property dries faster and we don’t leave big puddles or wet areas behind. 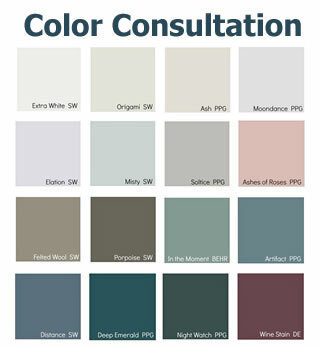 Why Choose Signature Painting Company To Clean Your Driveway Or Concrete? 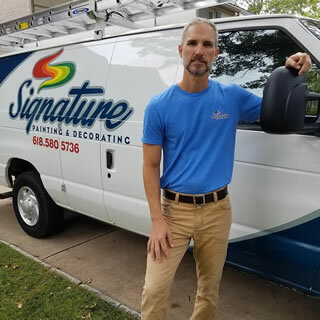 When you choose Signature Painting Company to clean your concrete or driveway you’re partnering with a team of professional painters with decades of combined painting experience. We’ve been in business since 2001 and have cleaned tons of concrete in that time. If you’d like to schedule an estimate to clean your driveway or concrete surfaces then give us a call (618) 580-5736 or fill out our online contact form and we’ll get right back you.